Russia getting kicked out without a single win? Tough luck. The Germans' sub-par performance in the semi-finals? Forgive them. The real underachievers of this year's major event are found elsewhere. Let us take a look into some dark corners of the tournament. With 24 contending teams the ‘largest’ Euro up of all times did not only bring refreshing surprises by newcomers, it also featured performances that were disappointing, to say the least. We are looking into the most obvious discrepancies between high expectations – and actual performances that were nothing to write home about. It must be them, right? I kind of have a personal agenda here as I tipped England to secretly sneak in to the finals, the semi finals at the very least. Certainly, one might argue that it was no surprise whatsoever for England to crash out in a pathetic manner, but after years it really looked like they could bring something out of themselves afterall. The one thing I did not consider was them having Goofy as their head coach. Hodgson not being able to fire up any of his players isn’t even a thing we raise eye-brows at anymore. Of course, highly-paid international professionals should be motivated as they are by default, but it looks like it wasn’t the case with the English this time. The performance was there in the group stages, but these fine young gentlemen couldn’t finish an attack to save their lives, and let’s not even think about that monstrosity of a game they played against Slovakia. What happened against Iceland is, well, one for the ages. Before I go any further, I need to mention that Iceland are indeed an able team. They deserved to get as far as they did. That is not the main point here. The main takeaway from that game for England was the ultimate display of Hodgsons complete lack of understanding of the modern game. 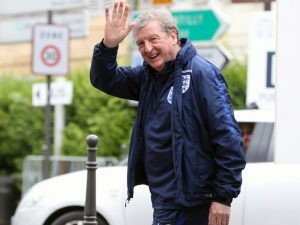 Hodgson played key players out of their positions all over the group stages, and he also insisted on keeping Rooney on the field despite his horrendous performances. But in that fateful Last 16 game, the head coach went even further. After Iceland quickly took the lead, possibly even my color-blind grandmother would have known that the one thing that will not work against the physically superior Icelanders is to play long balls and crosses in all sorts of situations. So what did Roy do? He played long balls. Because there’s Harry Kane. And the rest will just sort itself out. I’m not saying the players were even close to their potential, but Hodgson’s complete strategic ineptness caused another major upset for the England Team, and it is no wonder he is gone by now. This has to be said. Sweden was so mediocre a lot of punditry will simply forget to even mention they were competing in the tournament. But before they simply fade out, let’s just keep in mind that a lot of it was on their best player ever, Zlatan Ibrahimovic. Things could have been different, though. This was the last time Ibra featured in the Swedish National team, and everyone expected him to do what he always does before leaving which is to go out in a blaze of glory. Well, to everyone’s major dissappointment, this just didn’t happen. 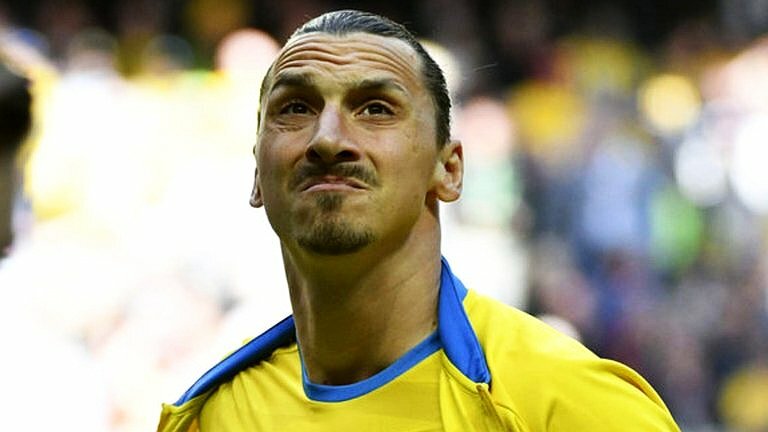 Let’s face it, Ibrahimovic just quietly faded out, without getting on the scoresheet or even putting in a decent performance. Of course, we can write it up to fatigue from a long and demanding season, even though his club, PSG, didn’t really have much to play for in the last month. They have alread clinched to have won everything aside from the Champions League, and anyway, Ibra was not the only one to be caught up with a demanding season. We can only hope he can re-ignite his greatness at Manchester United, and that his club career will not end like his international career did. It pains me to write this it down, but the EURO 2016 as a whole was no noteworthy event. I know it is just the direction these tournaments are heading nowadays, with teams putting defense and safety first, but this year’s event was way below expectations. The group stage already started to show cracks. But then again, as fans we are content with doing maths and calculations all day, feeding on the juvenile hope that it will all get better soon. Well, it did not. First halves were especially dire. During the first half of the competition the majority of goals were scored in the second half, between the 50th and 80th minute. Meaning you would have to sit through 50% of the game before it even started. Also, there were very few high-scoring games, with only six of them containing four or more goals, the goals average being a measly 2.12. Again, this can be written up to the defensive nature of today’s game, but still, it is hard to get new people into the sport with borefests like that. The only games worth remembering are the Hungary-Portugal pinball frenzy ending in a 3-3 split, or Wales-Belgium (3-1) that was pretty much the last game to provide honest, all-out offensive football. Other pretty enjoyable games were Croatia-Czech Republic (2-2, with the Czechs equalizing in the dying minutes) or the Turkey-Spain (2-1) scuffle. And that really was about it. In retrospection, the Euro 2016 will have to be considered one of the blandest episodes in European football history, and we can only hope that the EURO 2020 will spice things up once again. As Michel Platini is quoted saying that the next European tournament might see a total of 12-13 multinational host cities instead of just one host country, we might be indeed in for some surprises.